Nate Gillilan is no stranger when it comes to participating in Youthfront’s programs. As a former camper, Teen Staffer, and Summer Staffer, it’s safe to say that Nate has a heart for youth ministry and serving others. 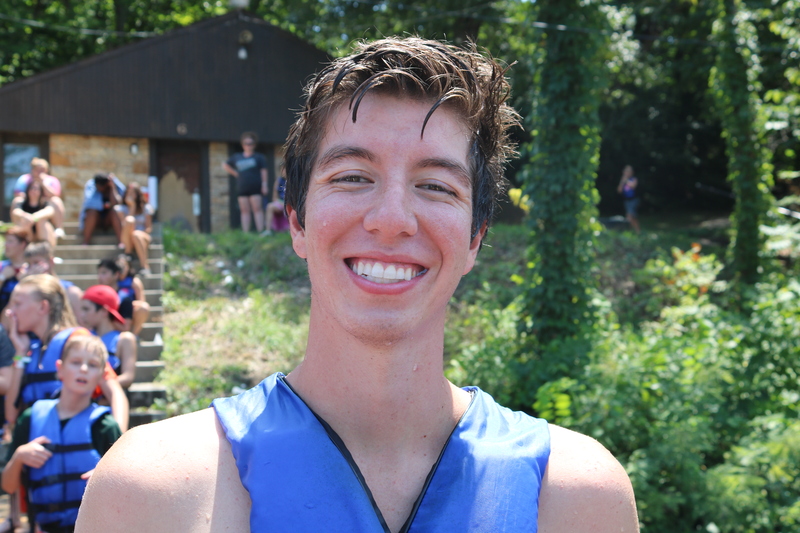 He is currently a cabin leader at both Camp LaCygne and Camp West this summer. How did you first hear about Youthfront? My church was involved with Youthfront and I camped as a kid. What motivates you to keep coming back to Youthfront, even if you’ve participated in YF activities many times before? Seeing the lives Youthfront changes and the impact I have on that motivates me to come back every summer I can. What are some of your biggest fears or struggles in life? My biggest struggle is my fear and my biggest fear is being alone. How does your involvement with Youthfront help you with those fears or struggles? Youthfront gives me a community that loves greatly and allows me to be myself. What are some of the challenges people your age face today? People my age struggle with finding out their purpose in life and seeing God’s path for them. What is one lie that you fight against? I fight against the lie that I have nothing more to do. Does your involvement with Youthfront help fight against that lie? Yes, it shows that there are still many more lives to impact. If someone asked you what Youthfront was, what would you say to explain it to them? I would say it’s an organization that wants to impact young lives and does a great job at doing it. What is the greatest lesson you’ve learned form participating in YF programs? It’s never too late to grow and change. What is your favorite thing about Youthfront? What is the biggest change you’ve seen in your life by being involved with Youthfront? I have seen myself have an urge to help others and impact youth through Christ. Are you interested in sharing your Youthfront story with us too?